The perfect combination of reliability, technology and performance in one compact unit. The Rinnai I-Series condensing boiler product lineup consists of heat-only and combination (combi) models to consistently deliver comfortable heat to your home. Unlike most boilers, the I-Series Combi Model provides simultaneous deliver of hot water and home heating without interruption. 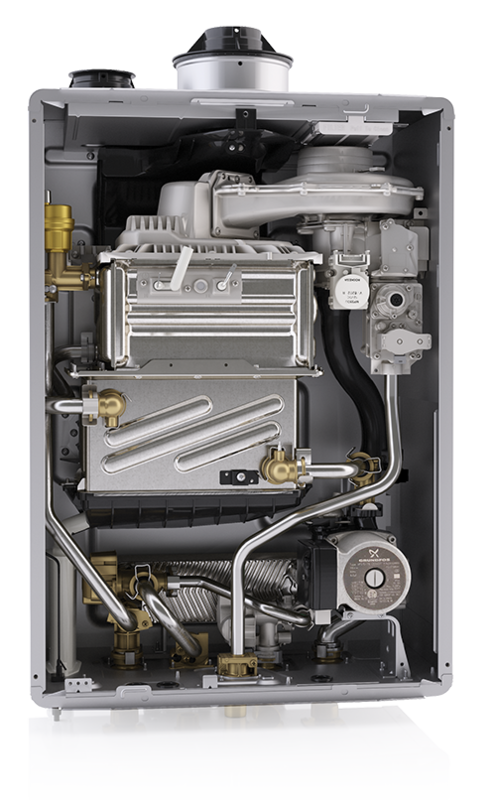 Discover all of the product features available in the NEW I-Series Condensing Gas Boiler.